YaHoVaH is raising up an army but not will qualify for the army. Who am I and Who is Gideon? Knowing who we are in Yeshua is everything. Will we count the cost and rise from slumber and make a difference in the world today. Hayley and I visited Jerusalem to share Exodus 19,20 and Acts 2. We share on the blessing of Shavuot and how it links to the gospel of the Kingdom. Many have been led down a road to a segment of the good news but it is interesting why the gospel that Yeshua taught the “gospel of the Kingdom” is avoided. The focus of this video blog today is to show how Shavuot “Feast Of Weeks” links to the outpouring of the Holy Spirit. Is there any challenges mentioned that suggest we need to revisit the meaning if the Gospel Of The Kingdom? So what is it about Israel that we need to know? Will The Army Please Rise Up – This Is The Hour! This is the hour for change, what a great blessing not just to see Ian and Patricia but hundreds turn and make a discussion to follow the Bible not the traditions of man. Testimonies from Ian and Patricia who hosted the Franklin TN meeting. They share on the impact of discovering the truth of getting back to Torah. Ian had a Rood awakening and in the past 6 month they have been following all the resources of Michael Rood and BulldozerFaith. Ian testifies to being lead into truth by the hand of YHVH (God) dealing with pagan practices. They went through there first year without celebrating Christmas and are making a stand to honor YHVH in all they do. Are you still following the Catholic Christian model? This is the hour to recognize the days in which we are living the climate is changing but we can stand and pray and make a difference. Stand with us as we seek to make a prophetic stand – Heaven is speaking will we rise up and intercede on behalf of the nations. This week I am sharing a little more from my month in the USA on the Heaven Speak’s Tour where I witnessed more people coming to accept getting back to the roots of our faith. We are called to know first things first! Is the Torah is the foundation to our faith? I believe this is what I find in the pages of my Bible and I am so blessed to see thousands more getting set free from “Pagan Christianity” back to Hebrew Roots of our faith. Part 2 – Don Ask’s His Pastor If The Sabbath Is For Us? What an amazing tour “Heaven Speak’s” as we witness many lives transformed the testimonies are coming in about people being healed, empowered by the Holy Spirit and on fire to live there lives in a way that honors YHVH.. This prophetic trumpet call is not just to waken people up but a warning of the coming judgments and our need for intercession to stand in the gap for our nation’s. Judgment is coming to America and the land is crying out because of the sin in the land. We must rise up right now and stand in the army of YHVH. The USA government is interfering in Israel against the will of YHVH and its false manipulation over Israel will bring consequences against America as a nation. We can delay the coming judgment this country deserves. Israel too is standing in the balances with its separation from the will of YHVH. Join with me in standing in the gap for Israel and ask the father if you are called to partner with our mission. Please share with others and stand in prayer with me that many will discover the Hebraic roots of there faith as well as the life in the Spirit. It’s full steam ahead here in Israel as I plan to get ready for this missions trip to the USA. Shavuot is over and 50 days of preperation has passed as we prayed for the nations. Yeshua said to “Go” and preach the gospel here in the land of Israel and to the ends of the earth. Many are seeking to know the will of God but are just left confused, so this trip will be to spread the fire of the Holy Spirit concerning the Gospel of the kingdom. It is time for the body of Yeshua to get into alignment as a people not as individuals – where is the army of YHVH? Welcome to this weeks video blog which comes as a 2 part teaching bringing the outline of the Bood of Revelation with friend and fellow servant for the gospel of the kingdom Michael Rood. Please share this teaching with others. The knowing of the truth will set you free – Do You want the truth or are you happy with Pagan Christianity? Welcome to our new video blogs from Israel where we will be producing a short video each week for Shabbat. What a blessing it is to know I don’t have to pack a suitcase tomorrow but my family can just relax and seek first his kingdom for what the Father is saying here from Israel. 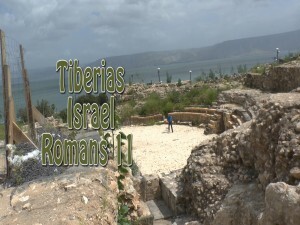 Siting on the ridge over looking the galilee and the Golan Heights with the sheep – goats and the Shepard, a site that would have been the norm even in the days of Yeshua. Pinching myself and blessed to be back home in the land after four months of traveling. I just want to take time today to lift up the name of YaHoVaH and give thanks for all the many blessings we have received especially the fruit we witnessed on the BulldozerFaith™ tour. As I have been reading this scripture this week one of the things that stood out to me was that Moses instructed the Israelites to make these tassels on the corners of your garments. Well, I have been wearing these tassels on my garments fo 6 months now since I caught the revelation of what it truly means to wear tassels. For this 6 months I was given tassels or purchased them but as I was reading this week I realized that it says we are to “make them ourselves”! How difficult can it be especially for someone like me who is not very good when it comes to “do it your self” challenges. If you car breaks down, your table has a broken leg or you need something repaired – don’t call me I am not your man Lol! But coming back to today’s scripture, I am ready and up for this challenge. I headed out to purchase the cords from a local store and not knowing enough Hebrew proved to be a challenging journey, but one thing that was great about this adventure was talking to Jews in the community about “Tzitzit” (the Hebrew name for Tassels), they examined the set I was waring and confirmed that they were made correctly and it was great seeing the smile on there face that I was seeking to follow the Torah. They were very friendly and I was surprised at there positive feedback when some warned me that the religious Jews could get agressive toward me for wearing them. But in reality it was the oposite response! So I get home and look up websites on how to make tassels and found 101 different ways to make them, yes ask 2 Jews how to do something you will get 3 opinions! I start to cut the strings and “disaster” all the 32 strings I cut to size are all wrong – Haha, so back to find a youtube demonstration so I can see someone making a set and wella – we are in business! Should I make 50 sets to give away to others? Getting back to the first set and 30 mins later I was very happy to announce to my family the first set is made. They where very happy for me and I could see in Hayley’s eyes after 20 years of marriage, “just maybe this could be the start of a practical skilled husband bringing craftsmanship to our home” Maybe NOT! This really works and I personally notice a huge difference in wearing them and it really does work in bringing to your remembrance the commands and not just remembering but to know we represent YeHaVoH when we are in public. 5 For those who live according to the flesh set their minds on the things of the flesh, but those who live according to the Spirit, the things of the Spirit. 6 For to be carnally minded is death, but to be spiritually minded is life and peace. 7 Because the carnal mind is enmity against God; for it is not subject to the law of God, nor indeed can be. 8 So then, those who are in the flesh cannot please God. The Father has a plan for our lives. What is the plan He has for your life? The benchmark for living out our life is to seek first His kingdom and His righteousness and find out His heart. What is the Father (Abba) heart for you? So with this little message I want to encourage you, don’t look at your gifts to identify your path and your plan on how YeHoVaH can use you, thinking of the many ways he could use you talents for Him. Many times the call of YeHoVaH requires you to lay down what you know in your eyes and do what you cannot do in the natural. You are born of the Spirit and we have to live life in the Spirit not falling back into our natural mindsets of the flesh. I know for some this is a new message as the majority of messages out there is seeking to produce fruit in amplifying your earthly gifts and mentoring your skill-sets to stop using them for the world and now use them for Yeshua. I want to warn you that this might not be the path the Father has for you but that when you lay your life down you will discover a transformed new creation coming back into alignment with the will of YeHoVaH for your lives. Live life in the Holy Spirit keeping His commands before you and learn from Yeshua on who you truly are. Are you busy using your talents today but you feel like you are failing Elohim? Stop and seek first his kingdom make your own Tzitzit’s and ask the Father how you can avoid the pitfalls of the human heart and venture out to walk the narrow way. This message is testimony but goes beyond to show what the Lord has been saying over a life time and how it relates to these prophetic ays in which we live. Have WE Lost The Love?